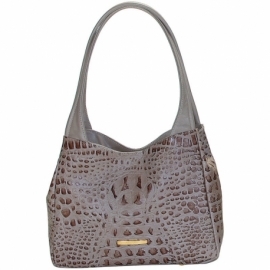 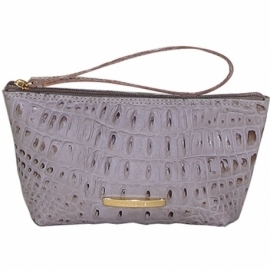 Natural leather handbag, crocodile print. 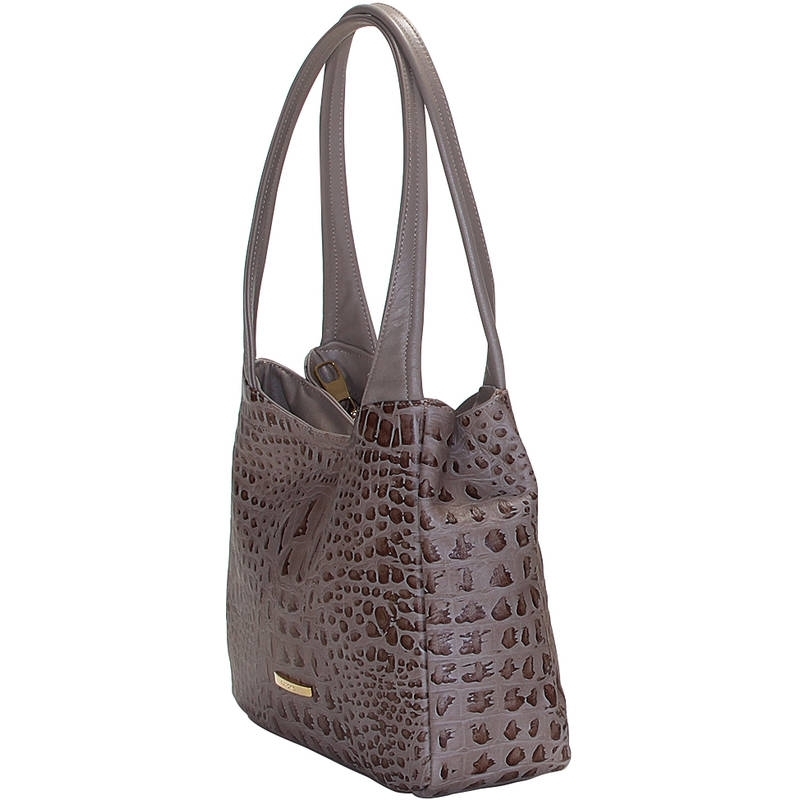 Practical and elegant at the same time, the shape is very versatile thanks to the automatic buttons placed along the sides. 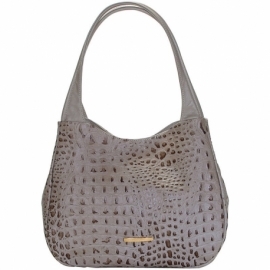 Colors taupe and plain pattern.